I recently decided to start The Scottish Independence Podcast. It is a project I had had in mind for some time, and had also discussed a few times with the good people at Bella Caledonia, who I am happy to say have helped out. There were a number of reasons for starting the project. Firstly, podcasts are growing exponentially in popularity and I tend to work my way through a lot of them. I simply wasn’t able to find any that were regularly discussing the most important decision our nation has had to make for 300 years. In fact, I was/am somewhat dismayed that the Yes campaign haven’t been producing their own, regularly, quickly and reacting to/instigating events. Furthermore, podcasts provide a great opportunity to let someone have their say without the shouting down and point-scoring so often to be found on the more traditional political forums or broadcast outlets. People can come on podcasts (well, this one certainly) and explain their reasoning, talk about their studies or whatever interests them without having it reduced to the kind of argument that is won by the person who thumps the table the hardest. I am an independence supporter who is not involved with any party. In these podcasts I hope to provide a chance for people who want to discuss the pre and post referendum situations seriously. I make no secrets that the majority of guests are independence supporters. Supporters of Scottish Independence tend to be under-represented in the mainstream forums (despite and proclamations Ian Davidson may make to the contrary) and I think in a climate where nearly all of the newspapers are avowedly or obviously unionist and the television and radio, whilst making the usual pretence of impartiality, generally seem very hostile to the idea, such a forum is not only a refreshing change, but absolutely necessary. So this project is an attempt to discuss some of the real choices coming up for Scotland without the jingoism and, frankly, the silliness, that surrounds much of the debate at the moment. Well, to be honest there may be some silliness from time to time but at least we’ll be doing it deliberately. Finally, the success of this project may depend on what help I can get from others. If you have ideas, if you want to record a piece and send it to me, if you have a guest you can suggest, if you are good at editing little audio mixes, anything, please get in touch and help to make this as good as it can be. If you don’t want to contribute in that way, simply telling some other people about it would also be greatly appreciated. It is hosted on spreaker and from there you can download it and listen at your leisure, or listen online. This is the link to the show’s blog page and this is the link to the rss feed. It is also available on itunes. There have been 4 episodes so far and a few more are just waiting to be edited. The first was with Donald Adamson who teaches Political Economy at Cambridge, the second was with Andrew Tickell aka Lallands Peat Worrier, the third is a mix of the speeches from the rally in Edinburgh on Saturday 22nd of September and the fourth is a short episode featuring reaction from James Maxwell to Johann Lamont’s (hopefully) lemmingish speech of the other day. I hope you enjoy listening, if you want to get in touch you can find my email here. Global Environment Challenges — what are they; what to do? Global Environment Challenges is a new part time online postgraduate certificate from the University of Edinburgh. Find out more here or contact Osbert Lancaster, Programme Director <osbert.lancaster@ed.ac.uk>. Union Solidarity International (USi) is a new international trade union initiative utilising and harnessing social media for campaigning. USi will utilise a sophisticated social media framework to maximise trade union members’ participation, interest and activity on the latest international issues which concern our Movement. Trade unions know that it is increasingly difficult to maintain a strong media presence against the backdrop of the current economic, social and political conditions. New media gives us an opportunity to speak directly with people with an interest in our point of view. Articles, podcasts, video conferencing and other social media formats on the latest issues impacting on the labour movement and its membership (e.g. pensions, labour market reforms, collective bargaining). Trade union educational materials that can be used for the development and curating of an online education library. Follow us on our media streams. Ideas for campaigns and participation in our forums after ‘joining’ USi to build a constituency of activists which can be mobilised for campaigns. We look forward to working with the Jimmy Reid Foundation to strengthen the aims and objective of our Movement. Join the team from the National Galleries of Scotland and Visible Fictions Theatre Company in a free performance about Jimmy Reid’s legacy in Clydebank. Over the last 3 months writer Martin O’Connor has been collecting stories from the local community, all ages, all memories, those retired, working or unemployed, to find out what Jimmy Reid meant to them and how the community survives now that the yards are gone. Presented by members of the community against the backdrop of the former John Brown site on Bruce Street, this event promises to address the past and look forward to the future. Our documentary is about the parallel decline in fortunes in Glasgow and Detroit, two cities that have seen social and economic downturns since the end of their heavy industry. The impact is more dramatic in Detroit, where whole streets lie empty as houses went into rapid negative equity as the jobs disappeared and the housing market crashed. All major supermarkets left the city and communities struggle to keep their heads above water. As Glasgow is half the size of Detroit and we still the semblance of a welfare state we have fared better but still face many of the same social challenges and found some areas for optimism in the urban gardening movement in both cities. We travelled to Detroit with our two children and friend Bob on a £2,500 grant from the Peter Gibson Memorial Fund to look at as many projects as we could. We found lots of different people working incredibly hard to provide social hubs and much needed fresh produce for themselves and their neighbours and in particular got a chance to interview Grace Lee Boggs, a 96 year old social activist who was a contemporary of Malcolm X and CLR James along with her late husband Jimmy Boggs, an overlooked and insightful organiser in the Detroit motor industry. It was very interesting to then come back and speak to people in the Glasgow urban gardening movement and hear the similarity in their convictions to people in Detroit and find their common purpose in recreating community was so akin even though they’re continents apart. A low-tech, long-term approach where socially responsible, purposeful work is valued before speculative profit seems to be the message that comes through from both cities. Issue 69 of the Scottish Left Review is now online. Regulation, deregulation and the myth of red tape is considered by authors Robin McAlpine, Francis Stuart, Stephen Boyd and Pat Rafferty. Plus Dave Moxham on trade unions in 2012, Bob Thomson on the Jimmy Reid Foundation, Matthew Crighton on the successful anti-privatisation campaign in Edinburgh, Andy Anderson on economics and B0b Reid on alienation. Also in this issue, the launch of the Constitution Page, this time considering defence. Supported by organisations like the STUC, Unison, Friends of the Earth Scotland and the New Economics Foundation, the lecture ‘JUST BANKING: building a banking sector that serves society’ has been announced for 19 and 20 April. For more information and to book go to www.justbanking.org.uk. Come and join Gerry Hassan and Jean Urquhart for the latest weekend of good conversation and challenging ideas in a beautiful setting …. Neil Walker of Edinburgh University on What is Independence? Martin Sime of SCVO and Kate Caskie of Victim Support Scotland discuss What is ‘Civic Scotland’ and what its role in the Great Debate? IS SCOTTISH LOCAL GOVERNMENT WORKING? 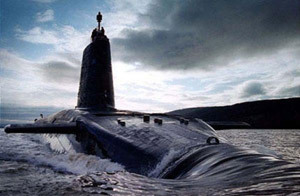 SCND report reveals that Trident would have nowhere to go if Scotland asked it to leave.